Dr. Fuller attended college at Michigan State University where he received his B.A. in music literature, M.S. and Ph.D. degrees in physiology, and D.O. degree in human medicine. He completed his Internal Medicine residency at Henry Ford Hospital in Detroit, and from there he completed a 4 year Fellowship in Pulmonary and Critical Care Medicine at Johns Hopkins Hospital in Baltimore, Maryland. Dr. Fuller then moved to Annapolis where he practiced Pulmonary and Critical Care Medicine for 5 years. For the following 10 years he practiced as a Critical Care specialist in the Washington, D.C. area and focused on the post operative critical care of patients undergoing open heart surgery. 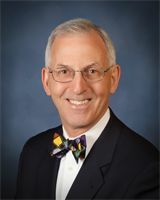 He next assisted in developing a Critical Care program in a community hospital in Baltimore before coming to Idaho in 2008 where he has practiced in local hospitals until 2011. Dr. Fuller's current focus is partnering with medical and social networks to prevent hospital readmissions. He has a strong interest in implementing state-of-the-art telemedicine services in novel and creative ways to improve healthcare delivery. And he is passionate about the necessity of coordinating the medical and social needs of outpatients in order to allow them to remain home and out of institutions. Dr. Reischl is a Professor of Health Sciences at Boise State University. He is a public health physician with a focus on international public health policy and occupational health. He has 30 years of University research, teaching, and administration experience. Dr. Reischl received his undergraduate and graduate training at the University of California at Berkeley where he obtained the Ph.D. degree in Environmental Health Sciences from the School of Public Health. Dr. Reischl received his medical training at the University of Ulm in Germany where he obtained the MD- PhD degrees in medicine. He has contributed to the assessment of global health conditions and has been involved in the assessment of health care systems in numerous countries around the world. He served as a science advisor to the Global Advisory Committee on Health Research of the World Health Organization (WHO) in Geneva, Switzerland. In addition to his teaching and research work, Dr. Reischl has developed strong links between academia and the private sector. Dr. Reischl currently serves on the board of directors of several health technology companies.